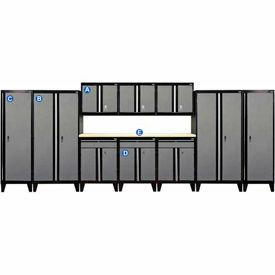 Modular 2 and 4 Door Project Centers, Wall Cabinets & Project Center Wall/Cabinet Combinations Help organize Workshops, Garages, and more. 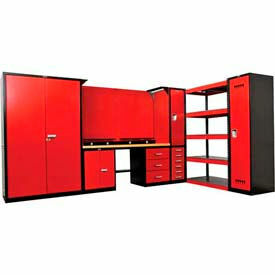 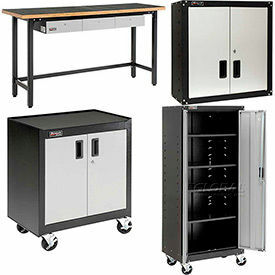 Stack-On all-steel assembled project centers and wall cabinets feature adjustable shelves and modular design. 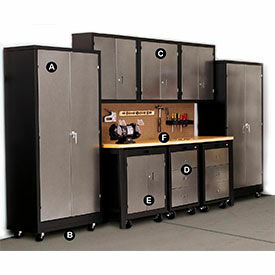 Door handles on Project Centers can be top or bottom mounted and stay shut with magnetic latches. 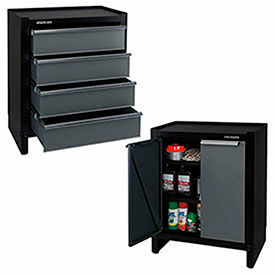 Easy to mount wall cabinets feature a single adjustable shelf.